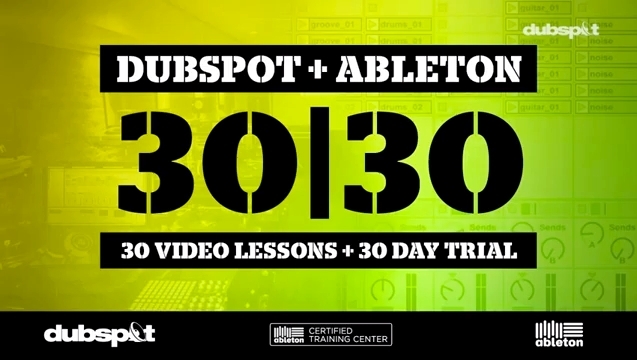 Dubspot + Ableton 30 | 30 Giveaway Winner! We were really happy with the number of students who managed to finish the entire course. We drew randomly from the pool of students who completed all the quizzes to select the winner. For all the rest of you who participated in the course this time: we’re glad we could help you get started using Ableton Live to perform and produce your music, but this short intro course has only scratched the surface of what you can do with this powerful software. The full Dubspot Online Ableton program will pick up where 30 | 30 left off and take you through the entire process of becoming an artist, helping you to develop your own sound and direction by composing a series of sketches and tracks as you learn Ableton. One of our highly-trained Dubspot instructors will be there to guide your progress at every stage by providing direct audio and video feedback on the music you create throughout the course.